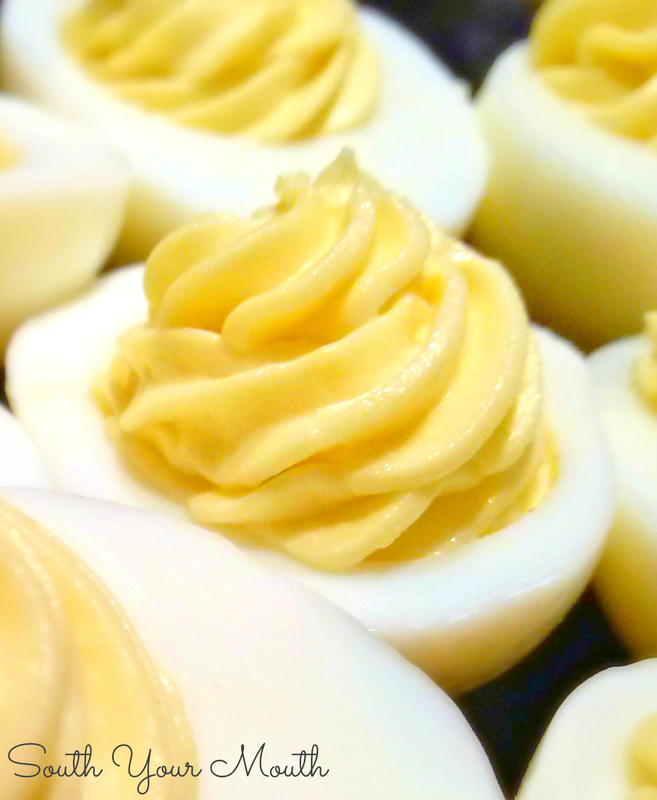 This classic Deviled Eggs recipe is a perfect base recipe. Dress these up with pickle relish, paprika or chives if desired. When people ask me for recipes for things like deviled eggs, I’m always a little surprised. Isn't that one of those things you just know how to make? Then I remind myself how lucky I am to have been raised with a hands-on mom that cooked almost every meal from scratch and had me in the kitchen helping her from the time I was big enough to see over the counter. Speaking of Mama… deviled eggs (and tuna salad and chicken salad and potato salad and anything else that involves mayo) is where she and I don’t see eye to eye. Mama is… How do I say this?? Mama… well, Mama…. likes Miracle Whip. For all you Duke's Mayonnaise loving Southerners out there, feel free to take a moment. I don’t know how many times I've forgotten this and put a big ole forkful of something in my mouth expecting mayo to be punched in the taste buds with the sweet, vinegary taste of Miracle Whip. Meh... to each her own. If you’re a Miracle Whip fan, simply substitute the mayonnaise with Miracle Whip. This is a very basic recipe. I’m kind of a purist when it comes to deviled eggs and egg salad. I've been known to throw some sweet pickle relish or minced onions in both but for the most part, I prefer things on the simple side. Peel eggs and cut in half lengthwise. Add yolks to a small bowl and arrange egg whites on a serving plate. Add mayonnaise (I start with 1/4 cup and add more as needed - you want the filling thick enough to hold its shape once piped into the whites. If you make it too runny there's not much you can do to fix it) and mustard to egg yolks and mash together using the back of a fork. Add salt to taste. Using a hand-held electric mixer, whip yolk mixture until smooth. Add yolk mixture to a piping bag or zip-top bag (if using a zip-top bag, snip a small hole in one corner when ready to fill eggs) then pipe mixture into egg whites. Refrigerate until ready to serve. Garnish with paprika or chopped chives if desired. *Don’t use super fresh eggs as they are hard to peel. Thank you! I had all but forgotten about Duke's Mayonaise! I can't get it here :(. But, I have a daughter now living in Charleston, SC. I will be getting her to send me some! I have to admit, I'm kind of on your Mama's team though. There is a whole lot of Miricle Whip going on at my house too! I use mayonnaise of course, but I also use the smallest side of my cheese grater for my egg yolks then just mix in the mayo and a little mustard mix together and your done. If you add salt to the water when boiling eggs, they are easily peeled. mustard. Have you ever used this recipe? Love me some deviled eggs! I smash up the egg yokes with a fork before adding in anything else, which makes for completely lump free eggs. I always mix mine up with a little sweet relish and add paprika on top. Mmmm mmm mmm. ...I always use sweet pickle relish...along with my miracle whip. I've never seen so much mustard added, either. And another thing, am I the only person that makes many more that six eggs? Last time<last week I made a dozen and a half with just my wife and I in the house. I add sweet salad cubes to mine Kraft Mayo, and instead of paprika I use salad supreme it just makes them even yummier! I use Best Foods Mayo and reg. mustard. But I do add a bit of horseradish to the mix for some zing. It is just delish. Bacon crumbles on top ad a bit of crunch. I add just a little butter to the warm yolks before mashing them and then i add the other ingredients. Real nice recipe, they look fantastic! Oh sooo deliciously creamy!.... You definitely have that piping down to perfection. Yeah, When my kids come to visit they always have a few jars of Duke's in their baggage...can't find that heavenly stuff here in the Midwest. These look so yummy. I use a teaspoon of cider vinegar along with the other ingredients listed in this recipe. Once, to save time, I tossed the yolks into the food processor instead of mashing a dozen and a half by hand (or fork!) and it turned out just fine - so fine that I'll never go back to hand mashing again. I make mine the same with the exception of sweet pickle juice. Any kind works. They disappear really fast! My go to is Kraft Sandwich Spread...for Deviled Eggs, potato salad, tuna salad, egg salad. All the things folk take time to chop up is already in there! I make my Deviled Eggs with half mayo and half miracle whip. The miracle whip adds a little zest along with sweet pickle juice. I have used cider vinegar in the past with mustard and sugar, & dusted with Paprika. I also have used Duke's mayo but can't see the difference between Hellman's. My family requests these at get-togethers and eats all twenty six of them. 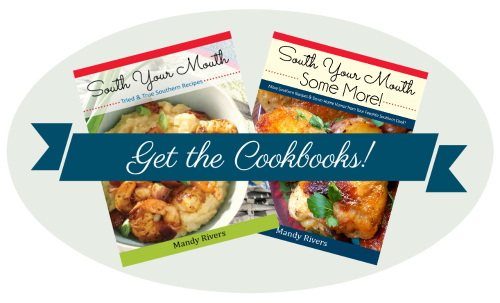 My mother also cooked from scratch everything my Kentucky family and I ate. She is 89 and still cooks. I enjoy your blog and recipes.